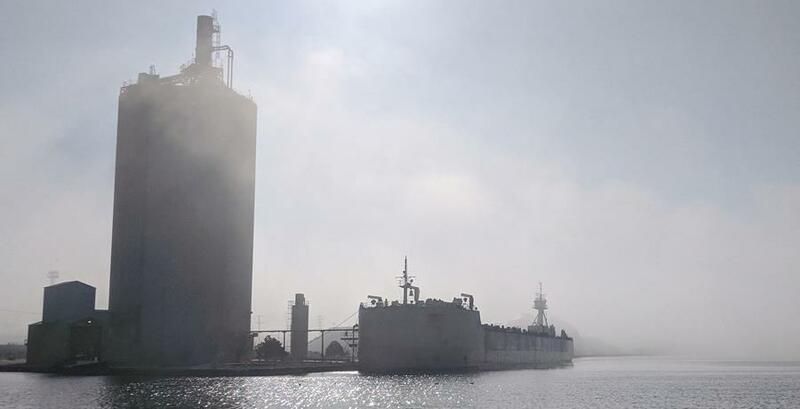 We've had some interesting weather in the Harbor District this winter/spring including the foggy day in the photo above. Lots of news and updates in the articles below including the WaLUP approval, a Habitat Hotels update, a streetcar survey, WaterMarks Walks, and a new Harbor District neighbor. Check out all the articles below and don't forget to stay up to date on all the latest Harbor District news via social media and our website. 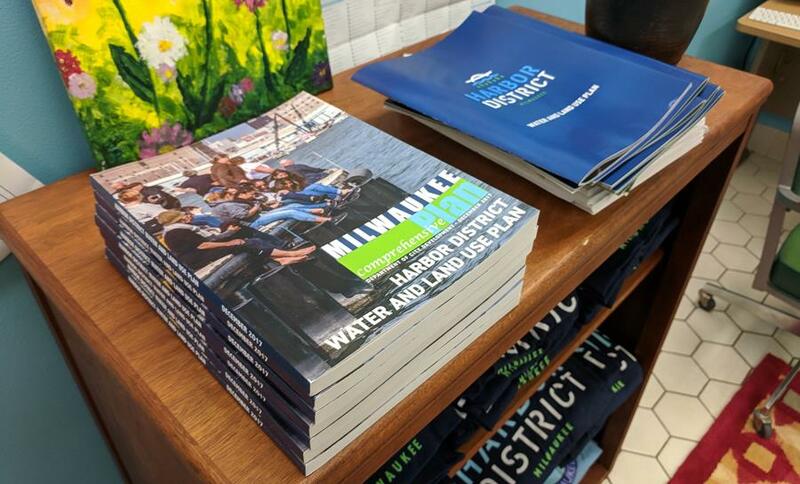 At the February 6, 2018 meeting of the City of Milwaukee Common Council the Harbor District Water and Land Use Plan (WaLUP) was officially adopted as an update to the City's comprehensive plan and designated a new area plan for the City. The adoption by the City of Milwaukee is the culmination of more than two years of work involving countless organizations, thousands of residents, business and property owners, and government at all levels. The City's area plans provide a community-based framework for investment, a guide for public and private decision-making, and coordinating initiatives for many different groups. To view the full WaLUP or the shorter executive summary (hay un resumen ejecutivo en Español tambien) you can go to www.harbordistrict.org/plan or http://city.milwaukee.gov/AreaPlans/HarborDistrict.htm. THANK YOU to everyone who participated in the planning process via an interview, focus group, public meeting, online survey, workgroup, or our plan advisory group. While the planning process was a huge undertaking that included many people and organizations, the work is only beginning. We now have to put the plan into action. Make sure to take a look at the implementation chapter at the end of the plan and let us know how you can help take this plan from vision to reality. As you can see in the photo above, students at Bradley Tech High School have been busy the past three months building out the various components for the Habitat Hotels. We are building 28 new Habitat Hotels which we will install in early summer throughout the Harbor District. These submerged habitat features are installed into the steel sheet piling walls that line much of the Inner Harbor. Native aquatic plants and habitat features, such as fish shelves, are vertically stacked to provide opportunities for fish to take "pit stops" as they move through the urban waterways in Milwaukee. The Habitat Hotels program is completed in partnership between Harbor District, Inc., Bradley Technical High School, the School of Freshwater Sciences, and many local property owners who host Habitat Hotels on their dock walls. Funding for the Habitat Hotels program in 2018 has been provided by the Fund for Lake Michigan, the National Fish and Wildlife Foundation, Wisconsin Natural Resources Foundation, and with donations from Gravity Marketing. In May, we will install the Habitat Hotels and begin our monitoring season. You can find more photos of students building the Habitat Hotels on our Facebook page. The City of Milwaukee, the Historic King Drive Business Improvement District, Walker’s Point Association, and Harbor District Inc. are carrying out the Moving Milwaukee Forward through Transit Oriented Development initiative addressing the future of the Historic King Drive, Bronzeville, Walker’s Point, and Harbor District neighborhoods north and south of Downtown. The potential extension of the Milwaukee Streetcar to these neighborhoods has opened the opportunity to think about a range of housing, jobs, public realm and transportation directions for the future. While this survey focuses on these neighborhoods, anyone interested in the study and area is welcome to take the survey. Please take 10 minutes to tell us your thoughts on how you want a potential, future streetcar route to shape development in these neighborhoods. We look forward to hearing your ideas and priorities. You can take the survey in English or Spanish. For more information on the Moving Milwaukee Forward initiative visit www.movingmkeforward.com. WaterMarks: An Atlas of Water and City of Milwaukee is a city-wide public art project developed by artist Mary Miss that invites the citizens of Milwaukee to explore and understand the water systems supporting their lives. Miss' socially engaged art practice and methodology, known as City as Living Laboratory (CALL), utilizes art installation to call attention to issues related to social, cultural, and environmental sustainability. 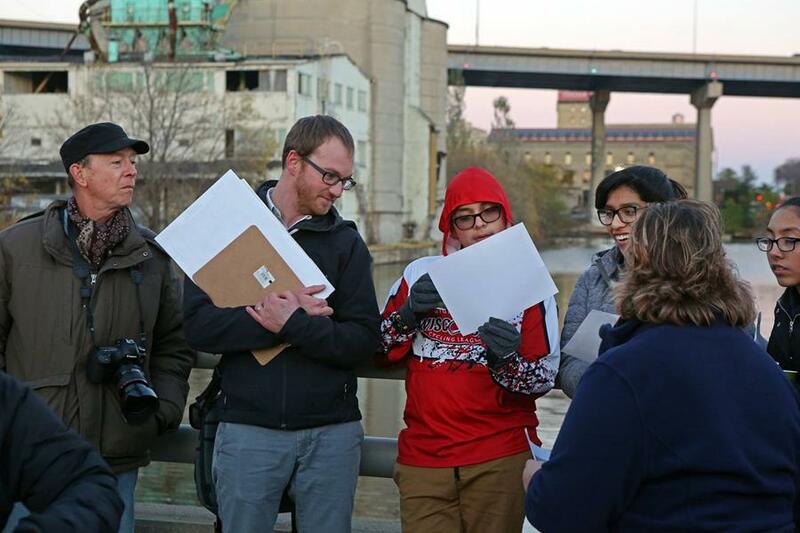 During the 2017-19 period the Haggerty Museum of Art at Marquette University is activating key nodes in the WaterMarks atlas through a series of interdisciplinary neighborhood walks and workshops, listed below. All WaterMarks programs are free, open to the public, and depart from United Community Center's Acosta Middle School, 615 W. Washington Street. Spanish interpretation is provided during all programs. For more information contact Mary Dornfeld at 414-288-7290 or mary.dornfeld@marquette.edu. Reflect on the places that walk participants visited and brainstorm ways that we can work together to take better care of our shared environment. Discuss the first WaterMarksmarker, which will be installed at the new UCC Acosta Middle School by fall 2018. Brinn Labs is home to the Betty Brinn Museum's Maker Initiative, a collection of programming and resources that has helped the Betty Brinn Museum become a national leader in the Maker Movement. In February Brinn Labs moved into their new space at 433 East Stewart Street where the Harbor District and Bay View meet. Maker Faire Milwaukee - celebrating our 5th annual Faire September 28-30, 2018. Maker Faire Milwaukee remains the largest free admission Faire in the United States and one of the largest of the more than 200 Maker Faires happening around the world. For more information checkout Brinn Labs online at brinnlabs.org.